United Turned Possible Complaints into Actual Compliments. Regardless of the industry, with few exceptions, the creation of a customer is a lost art. Truth is most companies tell you that they care but they clearly demonstrate they don’t care. All of us can tell stories of poor customer service but we are often hard pressed to find a great example of superior customer service. Whether it’s Comcast Business or CITI Mortgage or the US Post Office the degredation is the by- product of down sizing, price sensitivity, do more with less, and wait….do we as consumers really care? Did the price of the product go down to mimic the griping apathy in customer relations? In the process of commerce-attention, trade, and survival only the Customer can determine the relative importance of what is important and what’s not. Customers for the most part want what’s fair. They don’t like to treated like an interuption of business but the reason business exists. Ten years ago I wrote a book called D-A-T-I-N-G Your Customer. It’s a relationship manual. Actually it is just like DATING. The objective is the second date. In my book, I identified the incompetence and rampant indifference to the art of creating and keeping a cusotmer. It really has not changed a great deal EXCEPT that ten years ago customers actually talked to someone in the US, in English, who had the authority to make a decision. Today many of the companies outsource and/or strip away any real decision making authority. 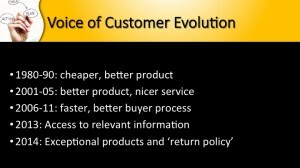 To create a customer it was necessary to offer you your own expectations and reasons for buying. To keep you as a customer, it was necessary to continue paying attention to your expectations and reasoning. I am now in the process of updating the book but something have not changed in over a decade. To get a customer you have to D-A-T-E them. It’s like education in this country. If the impoverishment of eduction is the greatest failure in some areas of the country, the the impoverishment of the customer customer is our greatest failure of business. We were in a deep depression for Customer excellence and today it’s worse. 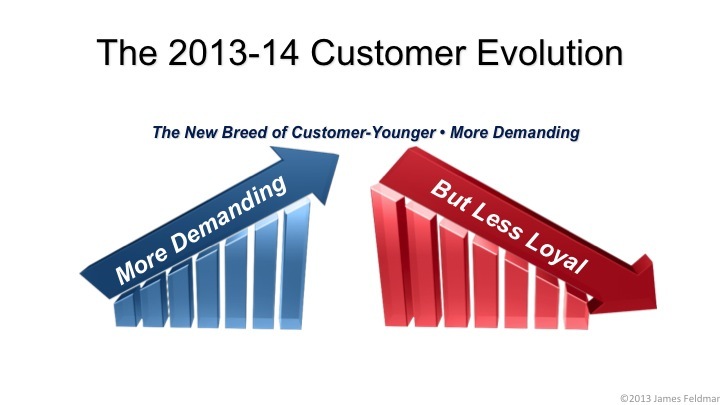 We are in a deterioration in the way we treat our customer and this has to stop. For the most part companies don’t appear to care because there are so many cusotmers the voice of one is not heard. However, just like D-A-T-I-N-G, Your Customer talk to one another. They now have a voice and it’s call Social Media. Videos, bulletin boards, channels, chat rooms, all talk about what’s going on. The first thing for any Date is to DAZZLE them. 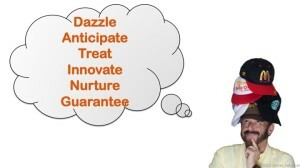 DAZZLE is such a short, simple word, but it really encompasses a lot of things. To DAZZLE, you must differentiate yourself, which means doing something a little unconventional and innovative. You must do something that’s above and beyond what’s expected. And whatever you do must have an emotional impact on the receiver. BASF is not an average company, your service is not average, and you don’t want your people to be average. 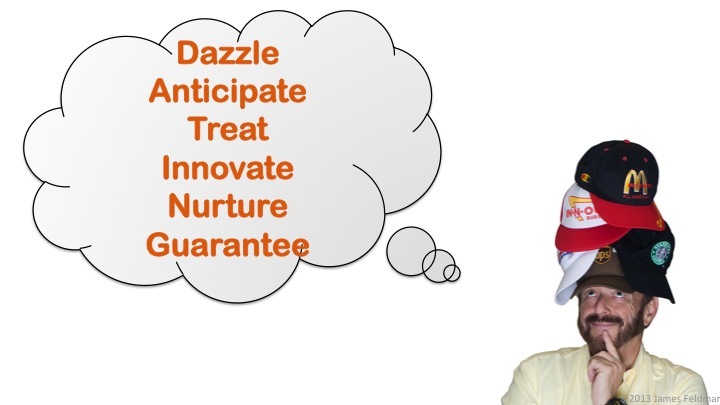 At BASF I believe you expect every employee to DAZZLE your Customers. Whether internally with co-workers or externally with our customers and partners, delivering DAZZLING results in word of mouth. DAZZLE with service and experience, not with anything that relates directly to monetary compensation (for example, we don’t offer blanket discounts or promotions to customers). We seek to DAZZLE our customers, our co-workers, our vendors, our partners, and in the long run, our investors. 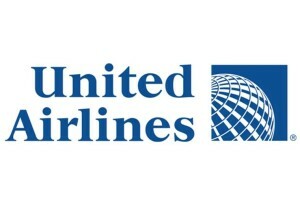 Last week United/Continental airlines accidently offered free airfares on line. It was a human error, not a computer glitch. It wasn’t dozens of tickets, nor hundreds, but thousands. Lucky bookers found flights to distant places including international flights. United was not required by the government to honor the fares, but they did. They not only DAZZLED their customer, but their competition, the media, and stakeholders. Based on the circumstances they could have denied the ‘free’ tickets but chose to take the high road. Ask yourself, If you were faced with the same issue how would your company respond? I applaud United for doing the right thing. I am impressed. For an airline, that like so many, have disappointed me this was a shining example of accepting the error, coming up with a common sense decision, and elevating them to the top rung on a tough climb out of reorganization. KUDOS to United. Well Done! Every Tuesday and Thursday for the next few weeks I will provide one of the six pillars of D-A-T-I-N-G Your Customer. Learn from history. If you were to poll every customer you would discover (hmm another D word) some similar, and often simple expectations. Customer are not statistics or conversion ratios or yields or prospects. They are people. Every customer has a name. With a few exceptions they will be different. Regardless of the name, the name is meaningul. Use their name. Recognize that they are important. Differentiation (hmm there’s that D again) of customer treatment begins with a policy of names. If your organization adopts a policy of referring to every customer as Mr. , Mrs. Ms. in every instance, always that company will immediately and permanently improve its image with the entire customer base. People are paying the bill. People remember who treated them well…and those that didn’t. In the example of UNITED Airlines they had a choice. Even though a few passenger took advantage of the opportunity of ‘free fares’ the press has applauded UNITED which resulted in calling them different names that what would have happened if they did not honor the tickets. What’s in a name? Everything. It’s what DAZZLES all of us.